For those that aren’t drone enthusiasts, the quadcopters that you occasionally see flying overhead at the park, or the YouTube videos that you watch of scenic, exotic locales taken by drones, may seem like the doing of a small group of flying fanatics – a pseudo quadcopter cult comprised of a handful of individuals. But that’s not the case. Drone “pilots” are increasingly common, and those unmanned aircraft they’re piloting are becoming increasingly popular. In fact, the Federal Aviation Administration (FAA) recently disclosed that their two-year-old drone registration program has registered more than 1 million drones. Most of those have been registered by hobbyists (more than 875,000), but some have been registered by businesses (approximately 120,000). One of the industries that has taken notice of this explosion in drone popularity is the insurance industry, which appears to view drones both as a potential growth area for their business, as well as an avenue for increasing their own operational efficiency and effectiveness. Today, insurance companies are emerging that offer coverage for drone users. 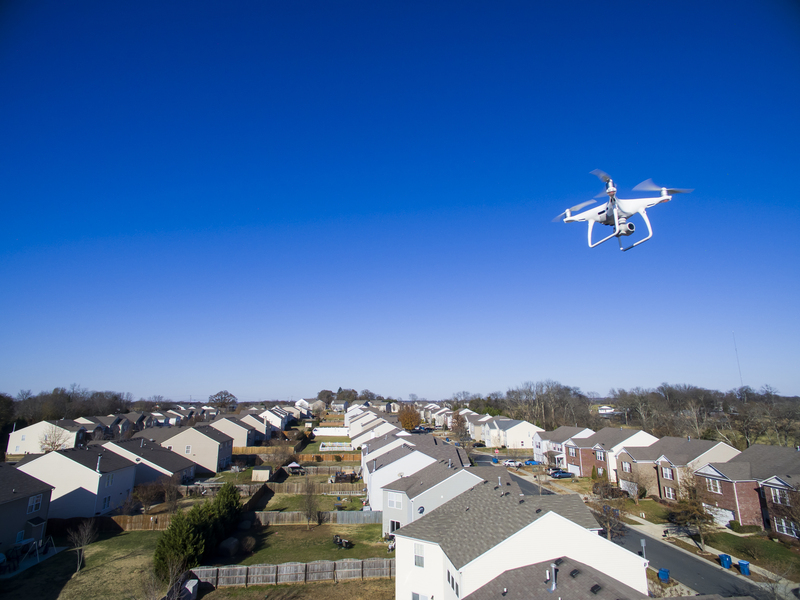 Other companies are emerging that offer drone services to insurance companies to help them identify property damage and settle claims more quickly. DroneBase, which provides drone imagery for insurance companies, falls into that second category. 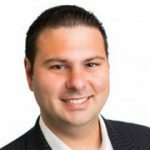 Insurance Tech Insider (ITI): What does DroneBase do? What products and services does the company offer?How did the company get its start? Dan Burton: DroneBase is the most scalable, affordable, and easy-to-integrate solution for enterprises to acquire drone imagery and data from its global pilot network. I founded DroneBase in 2014. DroneBase came to be because I believe there are two overarching problems in the drone industry: drone services are expensive and difficult to come by, and pilots don’t have enough useful, productive reasons to fly their drones. DroneBase exists to solve both of these problems. We also aim to scale the use of aerial images and data for worldwide enterprise commercial clients across multiple industries such as residential real estate, commercial real estate, insurance, telecommunications, construction, and media. ITI: How are drones being used in the insurance industry? What particular functions are they being relied on to perform? Dan Burton: Insurance companies are using drone imagery and data in a variety of ways, from evaluating claims to underwriting inspections. Since DroneBase is a leading provider of drone operations for insurers, we’ve seen that the first – evaluating claims – is the most common use case. The DroneBase API allows our partners to upload hundreds or thousands of addresses directly into our workflow to maximize efficiency, lower costs, and decrease turnaround time. If the airspace is clear, we send a local certified professional drone pilot to take aerial images of the property. This creates a desk adjustment solution that has reduced the inspection cycle by almost 50 percent. ITI: How has the implementation of drones helped the insurance industry? What benefits do drones deliver to insurers (provide metrics, if possible)? What benefits do drones deliver to insurance customers and policy holders? Dan Burton: Drones add a layer of operational efficiency to the insurance industry. Insurers use DroneBase’s global pilot network to gather aerial imagery for everything from inspections to underwriting. Since we upload the imagery within 48-72 hours, this solution reduces the inspection cycle for exterior damage, settles claims close to 50 percent faster, and creates a desk adjustment solution. This allows agents to focus on their specialty rather than driving from address to address. Drones also help improve agents’ safety since they don’t have to climb up a ladder and risk injury. “…This solution reduces the inspection cycle for exterior damage, settles claims close to 50 percent faster,” Dan Burton, CEO and Co-Founder of DroneBase. As a result, insurance customers are able to have their settlements up to five days sooner, which enables them to get back on their feet quicker. ITI: What happens if an insurance company needs to use a drone to inspect a property for damage in restricted airspace? Can drones still operate in these areas? Dan Burton: Even if an area is restricted, we may still be able to fly with the proper clearance through waivers. Our recent integration with the FAA’s LAANC system for instant authorization in restricted airspace should reduce addresses we can’t fly due to airspace down to less than 2 percent by the end of 2018. ITI: What is LAANC and what will it mean for drones – and the use of drones by insurance companies? Dan Burton: LAANC stands for Low Altitude Authorization and Notification Capability. LAANC provides near real-time authorization for drone pilots at 46 airports and six FAA facilities, whereas the current application can take up to 90 days. The FAA is expected to expand to more than 500 towered airports by the end of 2018, which will increase efficiency for the entire drone industry and the industries, like insurance, that use them. For additional information on DroneBase and their solutions, click HERE.